Omaha, NE—One of the appeals of the Blue Barn Theatre’s production of Priscilla, Queen of the Desert has to be the set design. Some of the main features of this Thursday’s opening night?- a rainbow painted floor, curtain hand tied with plastic bags, and a custom designed bus, the centerpiece of the stage and plot of the musical. Behind the scenes, Artistic Director of the Blue Barn, Susan Clement-Toberer, showed me the construction of Priscilla. Based on the ’90s Australian cult classic film, The Adventures of Priscilla, Queen of the Desert, the uplifting musical has been performed at some of the top theaters across the world. Two drag performers and a transgender woman take a wild journey across the Australian outback for a performance with their newly purchased bus, Priscilla, and the show features hit songs from artists, such as Tina Tunrner, Madonna, and Cyndi Lauper. According to Toberer. The style of Priscilla’s unique set design was decided after a conversation with Jenny Pool. The same work that went into the design of the bus and costumes went into the curtain, which is not your typical red or black fabric. When the film was released in 1994, it made a powerful message for the LGBT community, and Toberer believes that message is still is important today. 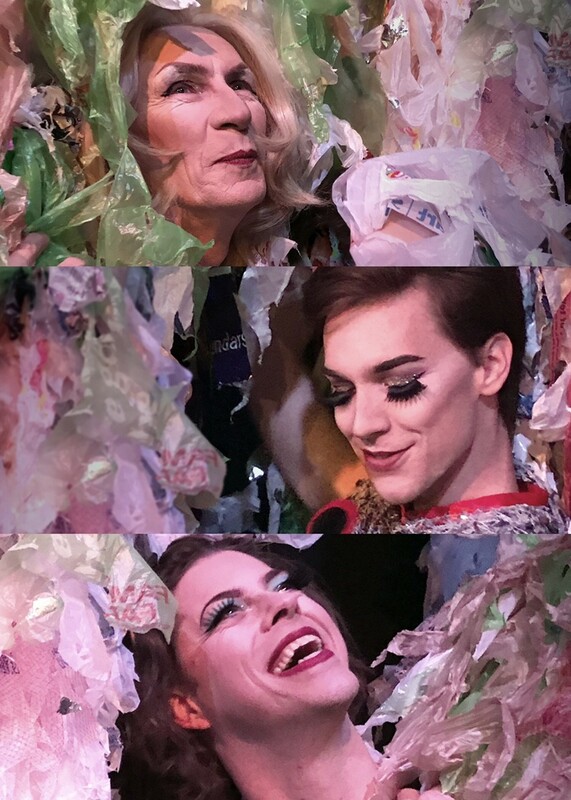 Priscilla, Queen of the Desert will run at the Blue Barn Theatre this Thursday the 18th through Saturday at 7:30pm and Sundays, June 4, 11, 18, and 25 at 6:00pm.